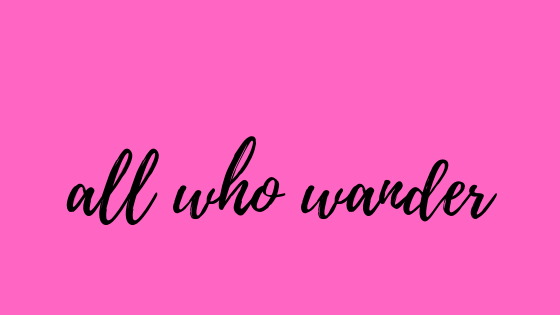 All Who Wander : Interview with Marilyn Peake, Author of Shade! 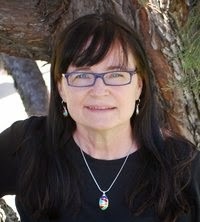 Interview with Marilyn Peake, Author of Shade! I'm excited about my very first interview on this blog! I was fortunate enough to interview Marilyn Peake, author of numerous books, including Shade. What type of books do you write? I’ve written a variety of fiction: short stories and novels; children’s, young adult, and adult literature; and I’ve written in the genres of science fiction, fantasy, mystery, and literary. My most recent novel is SHADE, a Young Adult Mystery novel with Paranormal elements. Where do you get your ideas for your stories? I get a lot of my ideas from world events in the news. I add twists and fantastical elements until I have a story that ends up being speculative fiction based on real-world events. My trilogy of children’s novels – THE FISHERMAN’S SON, THE CITY OF THE GOLDEN SUN, and RETURN OF THE GOLDEN AGE – were a bit different. In that case, I visualized a poor young boy named Wiley O’Mara who lived on a Celtic island somewhere far up north where it’s very cold, around the beginning of the nineteenth century. I pictured his mother dying from a disease passing through their village, an abusive and distant father, and Wiley setting out on a path that results in him becoming a hero. As the story unfolded, I created several fantasy characters who became Wiley’s mentors, guiding him along the path of his hero’s journey. His primary mentor is a magical dolphin named Elden who speaks to him and with whom he’s able to swim underwater. Another mentor is Lucinda, a fairy godmother type character. The scenes in these novels are very visual. 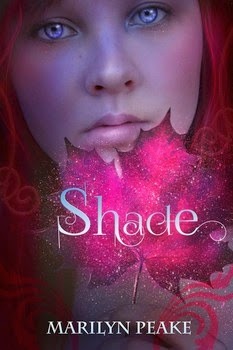 I reviewed your Young Adult novel, Shade, on Goodreads (read the review here!). Can you tell everyone what it’s about? Thanks so much for your review! I’m glad you enjoyed SHADE. It’s a Young Adult Mystery novel with Paranormal elements. SHADE was one of my most favorite novels to write. As I created her story, Shade became one of my favorite characters. She’s smart and sassy. She’s both rebellious and highly moral. Her mother’s a drug addict and alcoholic with a chaotic lifestyle. Breaking up with one boyfriend after another, even after Shade becomes attached to them, and moving to new locations, her mom is forever destroying any stability Shade might establish in her life. Shade’s full name is Galactic Shade Griffin, a name given to her by her mother and one that Shade resents. She envies everyone with a normal name. In order to control all the chaos in her life, Shade repeatedly cuts herself. The summer before Shade’s junior year of high school, her mother breaks up with yet another boyfriend and moves them to an old run-down Victorian house in yet another new town. Shade’s thankful for at least having a pretty cool attic bedroom all to herself…until she discovers it’s haunted by the ghost of a teenaged boy, Brandon Yates. It turns out he has a troubled past that blocks his way to eternal peace until he helps another person back on Earth. Gradually, as Shade and Brandon come to know one another, they help each other solve their problems. With tremendous courage, Shade goes on to help many other people. She straightens out her own life and becomes a hometown hero. SHADE deals with difficulties faced by many teenagers. It’s primarily a story about the struggle of growing up and finding out who you really are. It also deals with some serious world events that are frequently in the news. For Shade, she comes face-to-face with these events when her best friend, Annie Green, and some other girls from their high school go missing. What have you enjoyed most about being a writer? I find writing both difficult and exhilarating. On the days when all the words are flowing, it’s exhilarating and that’s one of the best things about being a writer. After a book’s completed and published, I absolutely love interacting with readers and reviewers. One of the best feelings in the world is sharing a new book with readers! I’ve had a wonderful time introducing SHADE over on Goodreads because there are so many enthusiastic readers and reviewers over there – including you, Wendi! What are your plans for future writing projects? Right now, I’m writing a story set in Hugh Howey’s WOOL universe, a story for which Hugh Howey has given me his complete blessing. I’m very excited about this! I’m also beginning to formulate ideas for a possible series of SHADE novels, continuing on into her college years. To never give up! Writing can be hard, but it’s also very rewarding. It takes practice and patience to succeed at writing and publishing stories. Yes, I do. My website is: http://www.marilynpeake.com. Thanks so much for this interview, Wendi!